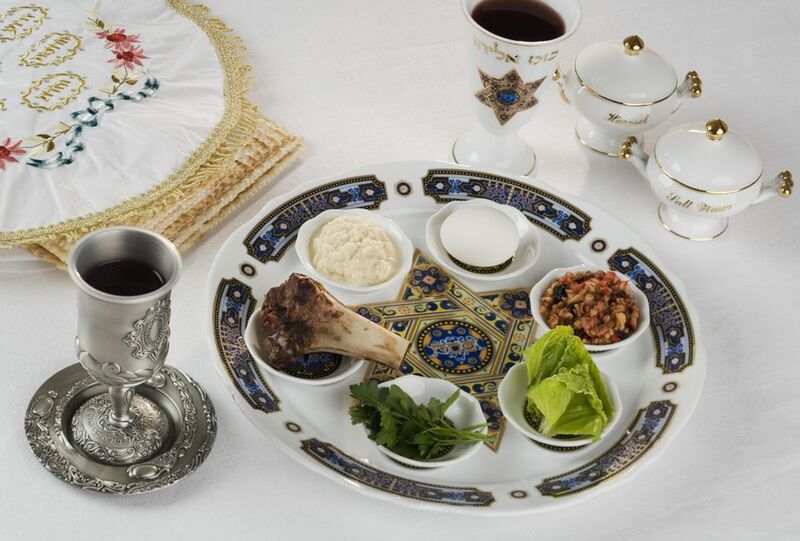 Passover may last for only 8 days (or 7, if you live in Israel), but the holiday involves a whole additional layer of kosher observance full of stringent intricacies that aren't a factor during the rest of the year. That means things can get confusing even for people who are quite learned, and strictly kosher observant year round. Add in centuries-old family or community minhagim (customs) specific to the holiday, and it gets even harder to separate the myths and facts about the whys and hows of keeping kosher on Pesach. Over the years, I've seen all sorts of semi-accurate information kosher for Passover food, whether in articles, cookbooks, or in questions posed by readers. I've compiled some of the most common myths here, along with explanations about the real deal when it comes to Passover food misconceptions. Facts: When the Torah says that leavened bread is prohibited on Passover, it is referring only to wheat, spelt, oats, barley, and rye. (The truth is, even that list may not be utterly accurate, as not all of these grains grew in ancient Israel. It may be that the grains of greatest concern are various species of wheat and barley described in the Mishna, though halacha—Jewish law—requires the avoidance of all five of the grains mentioned above.) In any case, these grains only become chametz if they are mixed with water and allowed to ferment for at least 18 minutes. Yeasts are naturally occurring microorganisms that are ubiquitous in the environment. There are at least 1500 species of these tiny fungi, and they're commonly found in the soil and on plants and produce, so it'd be virtually impossible to avoid eating yeast even if you tried. We've learned to harness yeast's natural metabolic processes and use them in lots of culinary applications. But In the case of chametz, it's the fermented grain, and not the yeast itself, that is forbidden. In other words, leavened grain, but not the assisting leavening agent, is the issue. Think about it: wine, which is fermented with yeast (usually the naturally-occurring yeasts found on grape skins) is integral to the Passover Seder. Countless Seders are capped with a lofty sponge cake, risen with the aid of lots of whipped egg whites. And there are plenty of fermented foods—think yogurt, cheese, pickles, even kosher kimchi—that are 100% kosher for Passover. So, why can’t you find kosher for Passover baking yeast? Commercial yeast manufacturing may involve grains and/or alcohol. And matzo meal is already baked, so from a food science standpoint, it simply won't behave or develop the way flour would in a recipe. Realistically, even if someone came up with a bunch of brilliant yeast-risen Passover recipes, there probably wouldn't be sufficient demand for kosher-for-Passover certified yeast to spur a company to bring it to market. Facts: Just because a food is marked gluten-free doesn't mean it is automatically kosher for Passover. It's possible to find gluten-free oats, for example, and oats most definitely fall into the category of chametz. Plus, one of the realities of modern food processing is that cross-contamination is always a possibility. Labels don't always accurately reflect what is in a food package. Facts: Unfortunately, folks with Celiac disease still need to be careful about what they eat on Pesach. Lots of recipes rely on matzo meal, matzo cake meal, or matzo farfel, all of which are commonly made with gluten-containing wheat matzo. While gluten-free matzo and matzo meal is now available, it is harder to come by and more expensive than regular matzo. Unless someone requires the gluten-free versions, they probably won't invest in them. There’s an exception though—non-gebrokts products are gluten-free. Many Chasidim have the custom to avoid any matzo that has come in contact with water. (Although matzo cannot become chametz once baked, the minhag arose out of concern that under- or partially-baked matzo that comes into contact with water could become chametz.) That means no matzo balls, no baked goods made with matzo meal or matzo cake meal, or basically any recipe that involves liquid mixed with a matzo product. It also means that non-gebrokts products or recipes, which are typically made with potato starch or tapioca starch instead of matzo meal, are safe for those who must avoid gluten. Facts: Rice is the seed of grass species. It is unrelated to the 5 species of chametz grains, does not grow near chametz grains, and cannot become chametz via combination with water. Sephardi Jews do eat rice on Pesach, but Ashkenazim do not. This is related to the Ashkenazi custom to avoid kitniyot—various "small things" that might be confused with prohibited grains. There is debate in the Gemara about the status of rice. Rabbi Yochanan ben Nuri, noting the way rice expands, argued that it must be chametz, though other sages disagreed. In post-Talmudic times, when the Ashkenazi restriction against eating rice gained traction, concern over cross contamination with chametz grains was likely a significant factor. Sephardi Jews, who lived in rice-eating cultures, would have had both greater familiarity with and access to unadulterated rice. Ashkenazi Jews, however, lived in colder climates where rice did not grow; imported rice was much more likely to be stored or transported with chametz grains. Incidentally, Sephardi Jews check their rice before the holiday, to ensure that no chametz grains are mixed in. Facts: Again, this comes down to the question of kitniyot. Sephardi and Mizrahi Jews, as a general rule, do eat many foods that Ashkenzai Jews have a centuries-old custom to avoid on Passover. These include rice, beans, lentils, peas, corn, soybeans, green beans, peanuts, and certain seeds and spices including sesame, poppy, mustard, fennel, coriander, caraway, fenugreek, and anise. This does not at all mean that Sephardim are violating the kosher laws. On the contrary, many argue that their practice to consume kitniyot is more in line with the Torah's original intent as far as which foods are permissible on Pesach. The esteemed food historian Rabbi Gil Marks notes in The Encyclopedia of Jewish Food that the prohibition against kitniyot started as an isolated custom in medieval France. Many sages spoke out against adopting the practice. Rav Samuel ben Solomon of Falaise called the avoidance of kitniyot an “erroneous custom,” while Rabbenu Yerucham ben Meshulam was harsher in his assessment, calling the minhag a “foolish” one. Nevertheless, minhag takes on the force of law, so barring a tremendous sea change in halachic thought, it's unlikely that Ashkenazim would drop the custom of avoiding kitniyot. Still, in recent years, there has been some movement on the kitniyot front. With the understanding that a country's prevailing custom is relevant to halachic practice, some Orthodox poskim (essentially halachic decision makers) have determined that Ashkenazim living in Israel may eat at the tables of their Sephardi and Mizrahi neighbors on Pesach, though they are generally still expected to refrain from foods that are predominantly or obviously made of kitniyot. Facts: Nope! The original matzo was likely soft, similar to pita or laffa. In fact, the tradition to eat korech at the Seder, a sandwich made of maror (bitter herbs) and matzo, is a clue to the nature of the original matzo. "Korech" means "to roll" or "bend around," so it must have once been possible to wrap matzo around the maror. Some Sephardim maintain the custom to eat so-called "soft matzo." It is specially baked for the holiday, and not available on a widespread commercial basis. For Ashkenazim living near a Sephardi community, it may be possible to track some down. Just be aware that while some rabbis permit the use of soft matzo by Ashkenzim, others discourage its use. You can read more about the halachic considerations online. Facts: While there's a strong tradition to use red wine for the Passover Seder, it is permissible—and sometimes even preferable—to use white wine or grape juice. Red wine is more obviously evocative of many of the symbolic themes of the Passover Seder, which is why it's generally considered preferable to other options. The privilege of being able to drink wine at all is reserved for free people, and Pesach celebrates our liberation from slavery. The color calls blood to mind, and from the plagues of the Nile turning to blood, to the Israelite slaves' instruction to sacrifice a lamb and use its blood on the doorpost as a sign for G-d to pass over their houses during the final plague—the slaying of the Egyptian firstborn—blood is a recurring symbol. This is a major reason, however, that red wine was not always the preferable Seder beverage. During historical periods when blood libels—heinous false accusations that Jews used Christian blood to make matzo and wine—were rampant, white wine was considered the safer choice for the holiday table. Nowadays, whether by dint of availability or force of sentimentality, many people pour sweet sacramental wines like Manischewitz for the Seder. But sweet, heavy wine is not required. With today's renaissance in kosher winemaking, there's a far greater selection of quality wines, both red and white. Halachically speaking, if the quality of your white wine is superior to the red wine, it's preferable to use the white in honor of the holiday. Though there is an imperative to drink wine rather than grape juice at the Seder, there are lots of halachically legitimate reasons that someone might choose the latter. Perhaps a guest has a non-divulged medical condition that would make juice the safer choice. Maybe there's an expectant mom at the table who hasn't yet announced her pregnancy, and who doesn't want to draw attention to her status. Folks who don't regularly drink wine may feel its effects after a glass or two and prefer to switch to juice. Vanilla beans are not considered kitniyot. And in recent years, pure vanilla extract, made with alcohol that is not derived from chametz has come to the market. What Does Glatt Kosher Mean in Jewish Dietary Laws?